How to delete slack message via Ubuntu CMD? I use Mup to deploy my app to server. 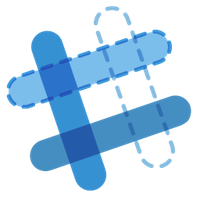 I created .sh auto-backup script and upload backup-data to Slack Channel. But now I would like to create .sh script to delete slack message before date condition. But I don’t know the Timestamp of my chart message. And I would like to dell all message Lester then 30 days. What I wanted to say with that link: This is not a slack forum. Maybe there is a better place to ask.